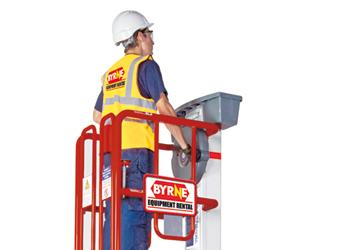 Byrne Equipment Rental, one of the longest established and most diverse equipment rental solution providers, continues to provide specialist oil and gas related products across the GCC. The company has recently added a new range of hoist and access equipment which can be specifically useful in the oil and gas industry. Its newest addition to the range are the Ecolift X and Pecolift X low level access platforms which are ATEX certified and are particularly useful in the oil and gas sector where low level working at height access is often required. No power is required as the platforms are powered by battery and are hydraulic oil free, making them useful in hazardous ATEX zoned work areas. The access platforms are efficient, eco-friendly, simple and safe to use, dramatically reducing working hours and offering excellent operating expenditure (OPEX) savings in comparison with traditional methods of low level access, says a company spokesperson. Ideal for spot installation, fitting, rapid maintenance or inspection works in very confined environments, the platforms replaces scaffolding, stepladders and podiums, avoiding the risks involved with assembly build and working at height, he adds. In addition, some of the other key features of these products are: these are intuitive to operate, as the handle can be turned to elevate and lower and are lightweight and easy to manoeuvre. With small footprint (985mm x 700mm), these have unlimited lift cycle and can be used 24/7. The design is robust for years of trouble free service with minimal operational costs and virtually maintenance free. Additionally, a lightweight, roll up, aluminum ramp is available for enabling Pecolift X / Ecolift X to be moved up or down a few steps or over floor obstructions or for use located on GRP walkway to spread the weight.